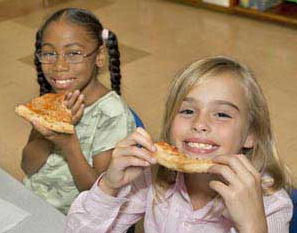 Since 1978, Bay Ridge Pizza has been serving kids in the local community their favorite pizza. Parents want to have pizza parties and have their favorite pizzeria supply them. The School Pie Program is the perfect solution and a win-win-win situation for parents, kids and Bay Ridge Pizza. Kids get their favorite pizza, parents get discounts on pizza pies, and Bay Ridge Pizza is happy to make the best pizzas in town! So whether it’s the PTA having a Pizza Day, Fundraising, or parents having a kid’s birthday party, you can count on Bay Ridge Pizza. Feel free to call us and ask what we can do for your school! Call Bay Ridge Pizza at (718) 680-5405.